2 Autogramme, 2 Memorabilia Cards und 6 Prizm Cards per Box !!! 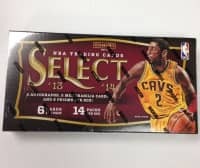 Produktinformationen "2013/14 Panini Select Basketball Hobby Box NBA"
Factory Sealed 2013/14 Panini Select Basketball Hobby Box mit 14 Packs a 6 Cards per Pack. 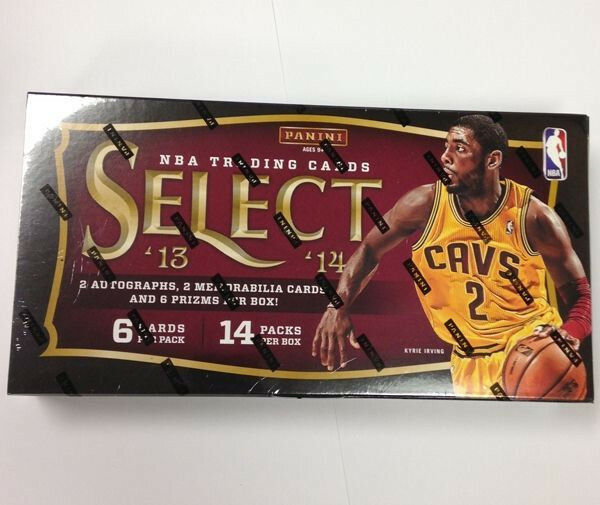 The return of last year's widely popular Select brand features Prizm Technology! Look for Gold Prizms sequentially numbered to 10! Find new autograph inserts in Signatures, Hall Selections Signatures and Franchise Signatures! Look for the debut of Purple Prizms (#'d to 99) and Blue Prizms (#'d to 49)! 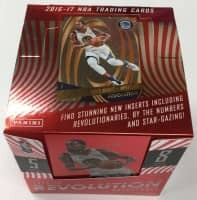 Every card in Select has a Prizm Black one of one! 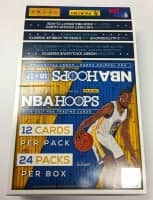 Weiterführende Links zu "2013/14 Panini Select Basketball Hobby Box NBA"
Fanbewertungen für "2013/14 Panini Select Basketball Hobby Box NBA"